Will this be on my record forever? A King of Prussia DUI attorney can help guide you through the complex process of defending against Pennsylvania drunk driving charges. Having a DUI lawyer on your side will also help protect your legal rights. Although being charged with driving under the influence of alcohol or drugs can be frightening, it does not have to devastate your life. A DUI attorney from the McKenzie Law Firm, P.C. can work on your behalf to have your charges dismissed or reduced, or mount an aggressive defense in court. What penalties might I face for a King of Prussia DUI? If you are convicted of DUI in King of Prussia, you can expect to face a variety of harsh penalties, including monetary fines, jail time, and driver’s license suspension. The severity of the penalties depends on whether you have prior offenses and any extenuating circumstances. The legal blood alcohol limit for DUI in King of Prussia is .08 percent. Blood alcohol content (BAC) levels determine the penalties you may face. Pennsylvania uses a tiered system of DUI charges. How can I expect my life to change after a DUI in King of Prussia? Even after you complete your jail time, pay your fines, and meet the remaining terms of your DUI, your drunk driving conviction will continue to negatively affect your life. Carrying a drunk driving conviction on your permanent record can compromise your ability to get a job or rent a home. Many rental car agencies will refuse to rent to you. You might also be unable to obtain professional licensure with a DUI conviction on your record. Finally, your cost for car insurance might increase 30 to 200 percent, according to Insure.com. Related: How Does The Juvenile Court System Work In Pennsylvania? Can I avoid jail time and keep my license? The most effective way to avoid the harsh penalties associated with a King of Prussia DUI conviction is to have the charges against you dropped. And, of course, you may be able to beat your drunk driving charges at trial. But, even though your attorney can mount an exhaustive defense on your behalf, it may be to your advantage to avoid going to court. Pennsylvania statutes provide an opportunity for first-time offenders to participate in a Montgomery County Accelerated Rehabilitative Disposition (ARD) program, which can help you avoid jail time and reduce the amount of time your driver license is suspended. You DO NOT admit guilt and the consequences you face through the ARD process are significantly less than those associated with a conviction at trial. It is important to note that even if you do successfully complete ARD you must file for expungement to completely erase your record. 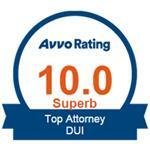 A DUI lawyer from the McKenzie Law Firm, P.C. can go over your options with you and determine whether you are eligible for ARD. Related: How Much Does a DUI Cost in Pennsylvania? Are there any potential defenses to a DUI charge? Yes. Police officers aggressively seek out drunk drivers in individual traffic stops, at sobriety checkpoints, and at the scene of accidents. Because of societal pressure to reduce drunk driving accidents and injuries, officers may sometimes take shortcuts on the legally mandated procedures they are required to follow. Before making a DUI traffic stop, an officer must have probable cause to believe you may be driving while impaired. If the arresting officer did not properly establish probable cause, a DUI attorney may be able to have your charges dismissed or negotiate a reduced charge. Likewise, if the officer did not properly administer your field sobriety or breathalyzer test, the results may not be accurate. However, proving this to the satisfaction of prosecutors and the court requires an extensive knowledge of the law. We can conduct an exhaustive investigation on your behalf. This may include gathering relevant facts about the DUI stop and collecting evidence to support your criminal defense. Another advantage to choosing our team is our familiarity with local prosecutors, judges, and law enforcement personnel. These insights can provide invaluable throughout your case. Call the McKenzie Law Firm, P.C. today to protect your future. Although you are the only person who can decide what is right for you and your future, having a DUI attorney in your corner will provide key insights and support to guide your choices. Contact the McKenzie Law Firm, P.C. today to schedule a consultation with our compassionate King of Prussia DUI lawyer: 610-680-7842. What Are the Penalties for First-Time Probation Violations in Pennsylvania? 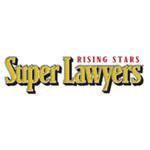 Do You Need A Lawyer For Juvenile Court In Pennsylvania? How Long Does A DUI Stay On Your Record In Pennsylvania?